Our handpuppet Bobby has a friendly character. This appealing boy will be a great success with all children. 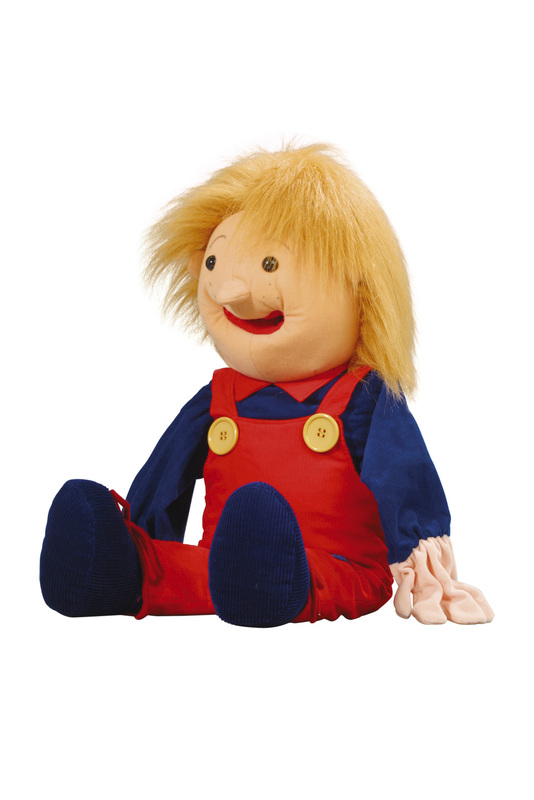 His happy and friendly appearance is sure to encourage even the quietest child to communicate. Use this friendly character to encourage interaction and stimulate language development with young children. Clothes are removable for washing. Movable mouth, tongue, arms and hands.